Your journeys to foreign and exotic lands have brought you both great fortune and immense wisdom, as the experience of learning from other warriors can only benefit you. 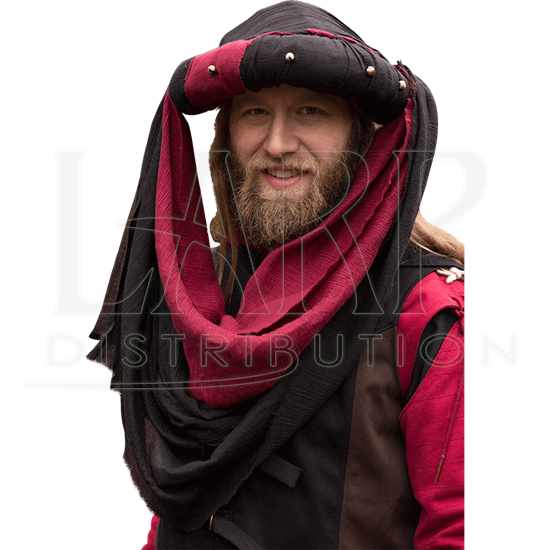 Wear the Jafar Turban proudly as a sign of your learnings! This magnificent handmade cotton hat is decorated with golden beads, a sign of opulence enhanced by the rich colors of the fabric. A long scarf hangs down the front, adding layers to the look and providing some utility at the same time. 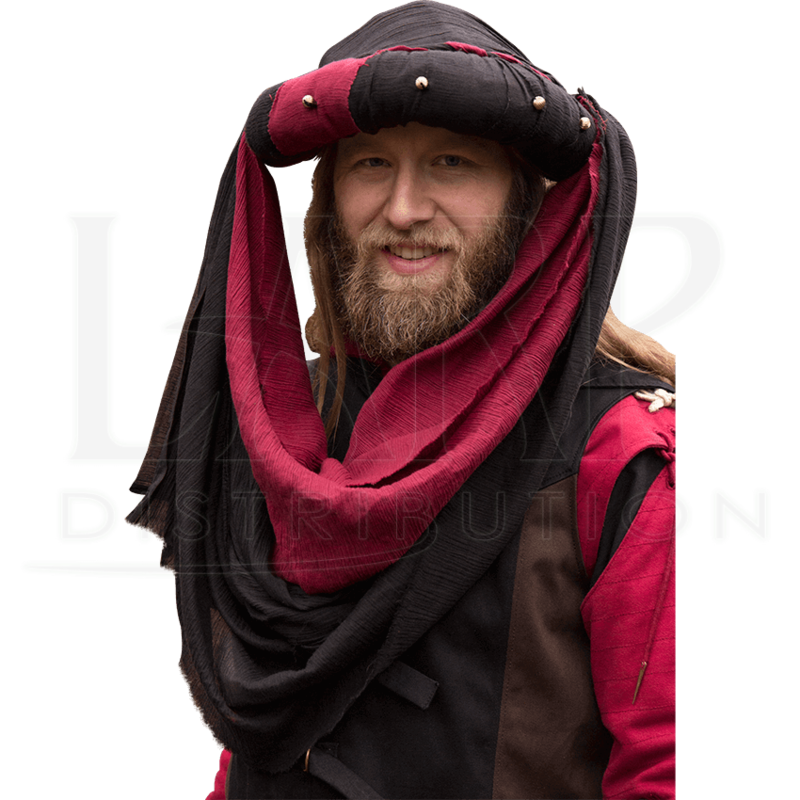 Add to the wealth of your character, in both material goods and experience, when you don this extravagant turban!